If you had to give up your toothbrush or your car, which would it be? According to a recent survey, 42 percent of adults and 34 percent of teens would rather turn in their keys, computer, cell phone, or microwave than get rid of their toothbrush. It seems that many Shelby residents love toothbrushes the way Dr. Miller does. We at Discovery Dental would like to take this opportunity to celebrate the history of the toothbrush and talk about how to pick the right one. 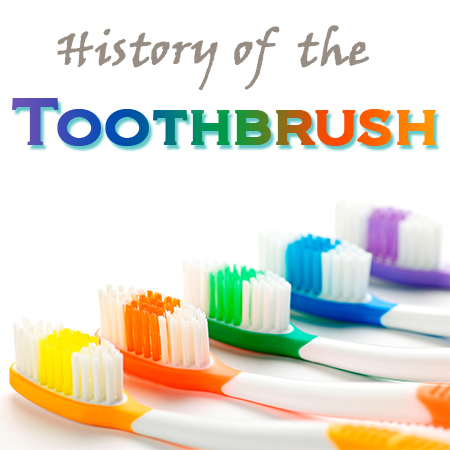 Did you know that toothbrushes were invented before soap, deodorant, and even toilets? The idea of the toothbrush is over 5,000 years old, although back then they were a lot different than what we have now. In ancient times, people used sticks, bones, and all manner of animal hair and products to brush their teeth and take care of their gums. The switch from animal hair to synthetic materials (for bristles) is fairly new, and mass production of toothbrushes has only existed for a couple of centuries. Today, you can find a toothbrush just about anywhere in Shelby. In fact, there are so many different kinds of oral hygiene products that picking the right one can be an overwhelming task. Between electric, manual, soft or medium bristles, tongue-cleaning attachments, specialized grips, bristle configurations, gum stimulators, and the dozens of brands available, buying a toothbrush is not as simple as it used to be. How do you know what to get? Call Discovery Dental! Dr. Miller loves to help Shelby patients make the choices that best suit their individual needs. Now you have your perfect toothbrush, but did you know that where you store it makes a big difference in keeping it clean? Bathrooms serve many purposes and most of them don’t work towards the sanctity of your toothbrush. To protect yourself from nasty germs, keep at least six feet of distance between the toilet and your toothbrush and close the lid before your flush. Also, make sure to use a holder that does not collect standing water or crusty, leftover toothpaste, and put a reasonable distance between your toothbrush and other items. Finally, get a new toothbrush every three months (sometimes longer for electrics) or immediately after getting over an illness. So how do you use it? Brush for 2-3 minutes at least twice a day, making sure to cover the surface of the tooth, as well as the backs, edges, and corners, and the tongue. It is estimated that 38 days of the average American’s life is spent using a toothbrush and the country buys nearly $800 million of them each year. Dr. Miller wants all Shelby residents to enjoy the excellent dental health that comes from true toothbrush love, so call Discovery Dental today with any questions or to schedule an appointment!